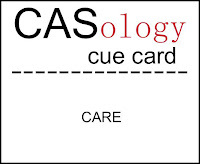 This week's CASology Cue Care is CARE! Late last week, I received my new Silhouette Portrait (smaller than a Cameo) which I purchased from my 'local' (2 hrs away) scrapbooking store, Scrappingreatdeals, who is also this week's sponsor (see details on CASology). Fortunately, SGD also has a thriving online business, so while I always drop by when I am in town visiting my parents, for those 'in between' shopping times, shipping works, too! I was playing around with my new Portrait and ended up with this MOM cut. The symmetry of the word makes for a very pleasing design. When it landed on my desk, over top of a 4x4 square scrap, I thought - why not? Because this card is 4.25x4.25, having the word hang over the edges will not prevent it from fitting into a standard envelope. And it's fun because it's different and unexpected. I kept the card clean and simple by not adding any texture or pattern to the colours (the Sour Apple cardstock is slightly textured - Bazzill, I think). Just some Stickles on the edges for sparkle! Now it's your turn to show us what you care about. Don't forget to link up before the deadline on Sunday at 4:00 CST (5:00 Toronto time). 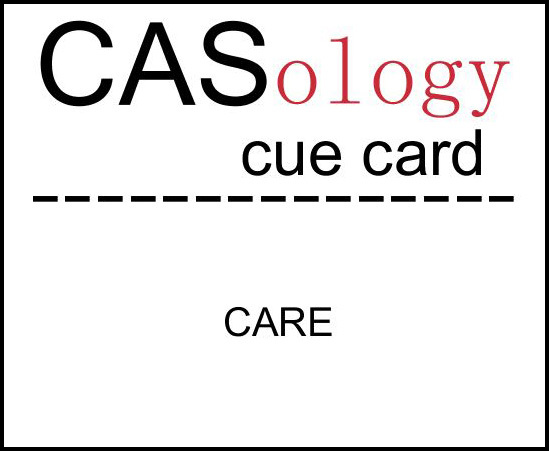 Here are links to the blogs of the other DT members - drop by to see what 'care' means to them! Okay....so if you took the plunge...I guess I need to be next. I just cannot be left on the outside, looking in at all the beautiful creations that you ladies are whipping up with this sweet rig! Stunning simplicity, nothing else needed other than pops of brilliant color! Love it! Enjoy every moment of exploring the the new toy! I finally sold my Cricut with all its bits and pieces so I might [insert waffling here] look at a Portrait! Let me know how it goes. Love this card. Love the big word! you have created another fabulous card, ardyth! What a fun card, Ardyth! I'll bet you could make a card just out of those letters (with the fold at the top)...that new toy sounds fun! This is just too cute!!! I agree with you, who cares more for you than your mom...so sweet! Beautiful CAS MOM card, Ardy! I think I may be one of the Mohicans w/o a fancy machine while everyone else moves ahead with them and with digis. It's not that I am resisting change, it's that I already have so many beautiful stamps and now dies and they need my love and attention for a while longer. In the meantime, I'm glad I have you for a fantastic resource when I finally join the bandwagon!! 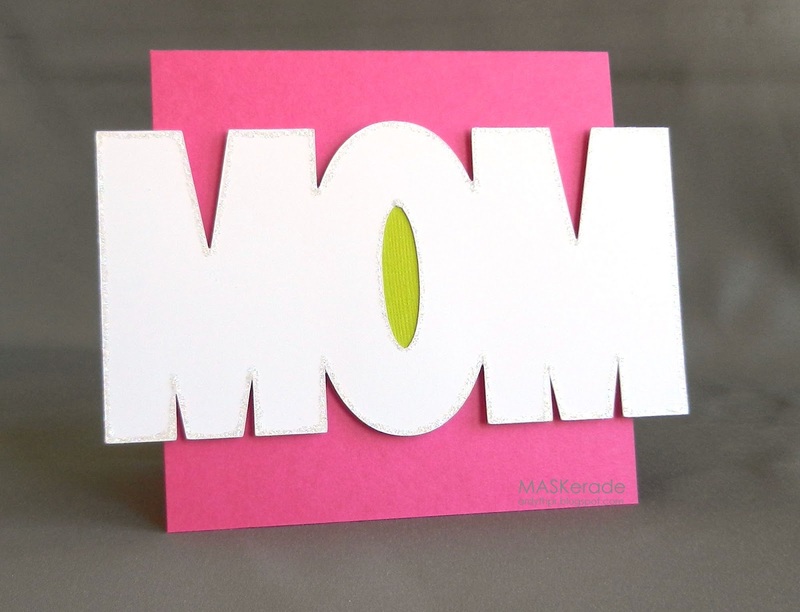 Clean, bold, graphic perfection Ardyth - I just sold an almost unused Cricut and worry that if I go for a Silhouette it will also be unused and then I see this beauty. Just love the shape & size, color - gorgeous! WHAT?! You get a virus and are out of the blogging world for a couple days, and then you find out that Ardyth got a Silhouette!! That's awesome! Look out, world. PS. I saw this card right away in your gallery! Love it!